No matter what type of cosmetic surgery procedure you are pursuing, a healthy diet is an essential part of your pre-op and post-op care. Knowing what to eat before surgery to avoid constipation and other complications can also provide a range of benefits, including a successful surgery, optimal results and a quick recovery. In this blog post, Chicago plastic surgeon Mohammed Alghoul goes over the top foods to avoid before surgery (and he offers some alternatives). 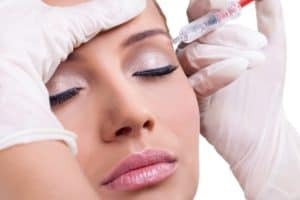 According to the latest statistics from the American Society of Plastic Surgeons (ASPS), people are seeking Botox in record numbers. A whopping 7.2 million procedures were performed in 2017, making Botox the most popular cosmetic procedure. Chicago plastic surgeon Dr. Mohammed Alghoul regularly meets with individuals who seek Botox to rejuvenate their appearance. Here, the trusted plastic surgeon answers the most frequently asked questions about Botox. Droopy eyelids is a condition medically known as ptosis. In its mildest form, droopy eyelids can pose a cosmetic problem, causing people to appear tired or older. In severe cases, droopy eyelids can obstruct the line of sight and make everyday tasks such reading difficult, and driving dangerous. Dr. Mohammed Alghoul is a renowned plastic and reconstructive surgeon who specializes in eyelid surgery. Although the facial rejuvenation procedure is popular for removing excess, drooping skin on the eyelids and thus restoring a bright and youthful appearance to the eyes and overall facial appearance, it is also used for medical reasons. In this blog post, Dr. Alghoul discusses when eyelid surgery is considered to be a medical necessity. According to the latest statistics, procedures involving fat grafting, also known as fat transfer, are increasingly in-demand. Fat grafting involves transferring fat from one body area to enhance another area, such as the face. The procedure is an alternative to both invasive procedures involving implants and minimally invasive treatments involving facial filler products. In this blog post, Chicago plastic surgeon Dr. Mohammed Alghoul shares more information on fat grafting, including its benefits.